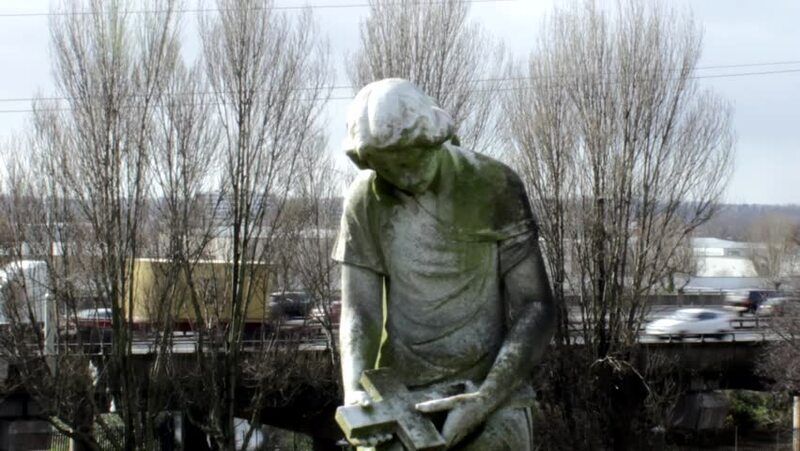 Rotten statue of a woman holding a cross with traffic in the background on the motorway bridge (M6) - Birmingham, UK, Witton Cemetery. 4k00:15shooting with a Steadicam, motion in a circle speaking on the phone men. Autumn day in the Park by the river.